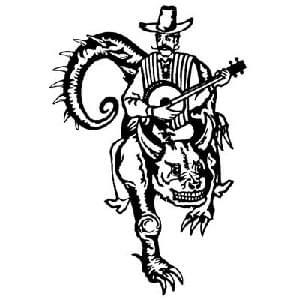 Time to begin scheduling for the 2019 Hodag Country Festival Fundraiser! Please distribute this letter widely to your parents, players, members and friends. Registration and information will be available through the internet on April 20th at 6:00 AM. Please access volunteer registration through the Rhinelander Soccer Club webpage at www.rhinelandersoccer.com under the Country Fest tab at the top of the webpage. Please follow the rules listed below and the directions on the registration page. 1) Each person choosing to volunteer must have a unique email address to register. If you do not have one, free accounts can be found at msn, yahoo or Google. 2) Each person can only reserve one slot per shift. If the same name is listed multiple times under one shift, ALL shifts will be deleted without notice. Please display honesty and integrity during this process. Others will be able to see who signs up for each shift. Exception: If 2 people share one email address, please put in the first name of both volunteers (e.g. John and Jane Doe). You will be asked for your name and phone number after you have selected your shifts and log out. 3) You MUST provide complete contact information; full name, phone number and address. If the name is not recognized, we must be able to call you. If we cannot reach you, the shifts will be deleted without notice. 4) Once you log out you will be sent a confirmation letter listing your shifts via the email account used during registration. All correspondence will be sent to this email address. STUDENT VOLUNTEERS: We have added additional hours for students (grades 9 -12). Additional shifts have been added July 6, 7, 8 and 9. Students may also volunteer during the staking time. Students (grades 9-12) who volunteer a total of 22 hours will be eligible for a free weekend wristband. STUDENTS 16 YEARS OF AGE OR YOUNGER MUST BE ACCOMPANIED BY AN ADULT. STAKING: ***NEW*** Staking begins Saturday, June 22nd. EVERY SITE on the Festival grounds gets staked. Staking hours will be worked only until staking is completed. ***NEW*** Staking hours will run in 4 hour shifts from 9 AM to 9 PM each day (except Sunday, June 23rd hours Noon-6 PM). STAKERS MUST WORK EFFICIENTLY, BE ABLE TO POUND STAKES FIRMLY INTO THE GROUND AND WORK WITH MINIMUM SUPERVISION. TICKET SALES AND CAMPING: Festival shifts begin Friday, July 5th through Sunday July 14th for adults age 18 and older and who have graduated from high school. Adults must work 22 hours to be eligible for a weekend wristband and a free campsite in the “Elk Pen Camping Area”. 6 of the 22 hours must be over the concert weekend Thursday, July 10th through Sunday, July 13th. You cannot combine hours with another person to get a free wrist band. THIS WILL BE STRICTLY ENFORCED. OVERNIGHT SHIFTS (10:45 PM – 7:15 AM): Individuals choosing to volunteer overnight will be compensated time and a half for their chosen sport or activity. The hours worked are counted individually towards the 22 needed for the free wristband and campsite. SUPERVISORS AND BOOKKEEPERS: All supervisors and bookkeepers MUST BE PRE-APPROVED before signing up for any shifts. MANY SUPERVISOR AND BOOKKEEPER SHIFTS WILL BE FILLED PRIOR TO APRIL 20th.